Welcome back! I have not been good with blogging this past week. Life is a little too busy for my liking and the weather has also been very hot. Perth had a heatwave of 40+C over four days and the heat was severe and unbearable. It has cool down slightly today and this is more bearable. 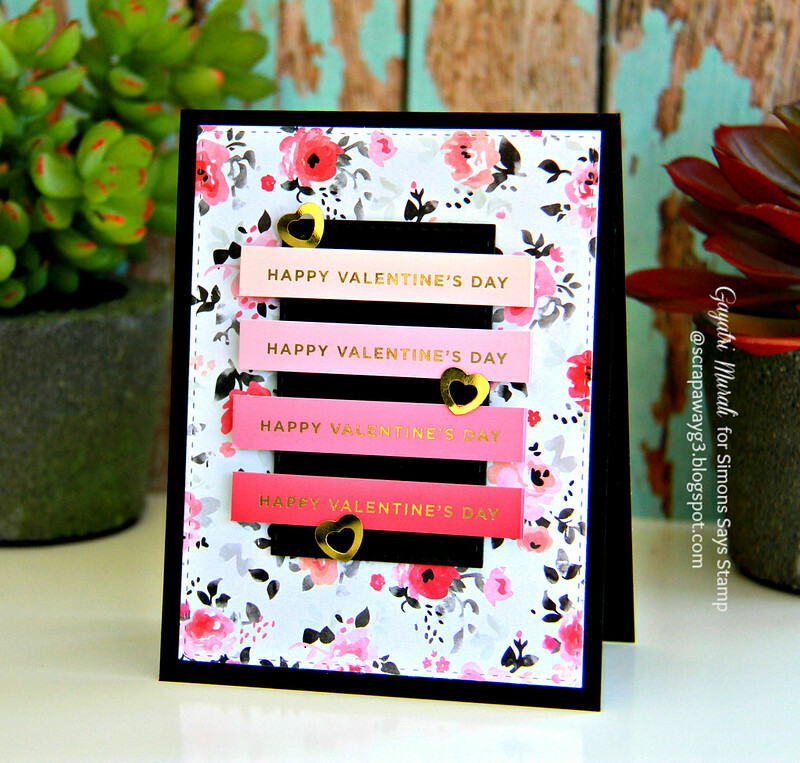 I had some time yesterday to make a quick card using Simon Says Stamp February Card Kit. 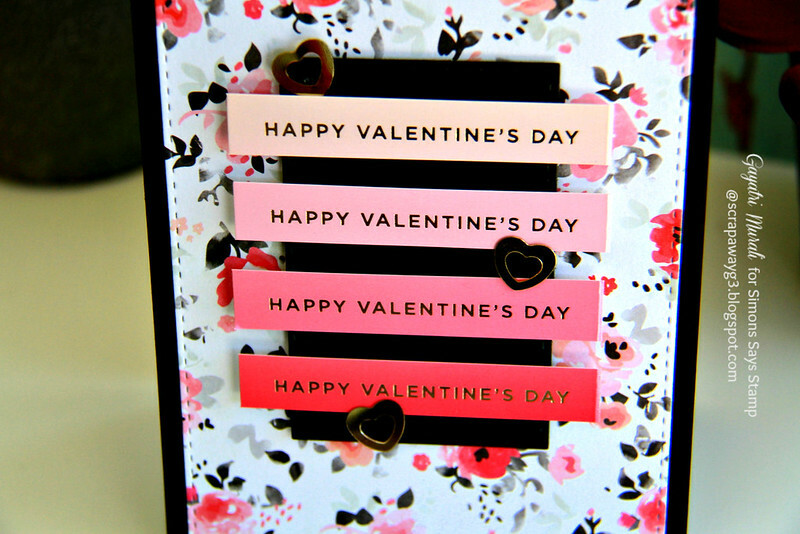 This card is very simple to make. There is no stamping whatsoever. I used the black cardstock from the kit as the base. Then die cut a large stitched rectangle panel using one of the pattern paper from the kit and the largest of the Stitched Rectangle Die set also from Simon Says Stamp. Then I die cut a smaller stitched panel using black cardstock using the fourth largest die from the same Stitched Rectangle die set. I adhered this panel on the pattern paper panel using foam adhesives. Then for the focal sentiment, I have used the stickers from the sticker sheet from the card kit. There are an ombre of pink valentine themed stickers in this sheet. The gold foiled sentiment on the stickers are just beautiful. So I arranged an ombre of sentiment stickers on the black panel using foam adhesives Then embellished with the gold outline heart sequins also from the card kit. Finally I adhered the entire panel on the black card base. I love making simple and quick cards using the card kit. The kit is so well coordinated that the card comes together beautifully without have to pick and choose coordinated elements. Don’t you love that pattern paper? I LOVE it. So pretty.